This is yet another battle for the telcos as Globacom has announced its own new offer called Glo WelcomeBack. As the name implies, this is a new offer from Glo to his subscribers who has dumped their Glo sim for over 30days. This is just a way to get their lost subscribers (customers who haven't recharged or make use of their Glo sim for over 30days) back to them. We could remember Etisalat MissETmissOut, that offers any Etisalat user who haven't make use of their sim for 30days, a whooping N4,000 when they recharge N200. Globacom has finally joined the trend. I have a Glo sim that i haven't used for over 2months, and I've been receiving series of text messages from WelcomeBack bonus with great offers. Kindly read it below. You have N6000 Bonus credit unused. RECHARGE N200 to get N1200 OR N100 to get N600 for browsing and calling. Dial #122*34# to check unused bonus. So, Glo is offering N600 bonus when you recharge your line with just N100 (not N6,000 for N100). N400 is for call and N200 for browsing which is the 50mb, While N1000 unlock all the bonus which is the N6,000. Take note of this. However, the purpose of this Bonus was to welcome back old Glo users as well as a business strategy to recover their lost subscribers who has dumped their SIM or left it inactive for months. 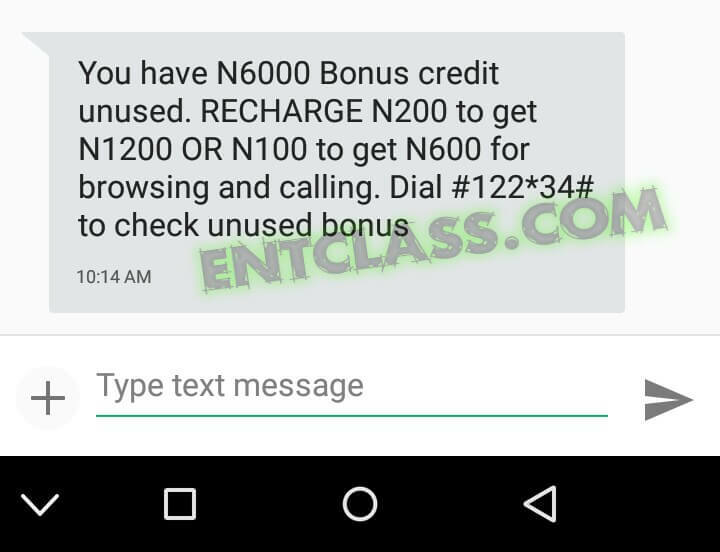 HOW DOES GLO WELCOMEBACK BONUS WORKS? The first time i saw the text message from Glo, i thought it was just a trick to get away with my money or something else, but i was later convinced that it's truly real and not fake. It's very simple, just look for your dumped Glo SIM (that you haven't used for a month or more), insert it on your phone and wait for the message that confirms your eligibility. After that, recharge your Glo line with the said amount in the text message you received. Then, dial #122*34# to check your data balance. You can't use the bonus credit to subscribe for data bundles but you can use it to browse and make calls. To get more bonuses, you need to recharge with more money. For instance, the N1,000 recharge gives you the full unlock bonus of N6,000 (N4000 for calling while N2000 for browsing). 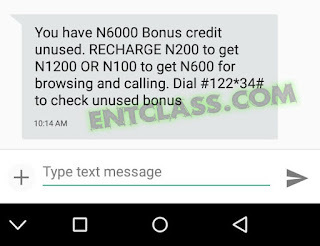 Did you receive this same text too on your Glo line? Please comment and share. na lie it wont work. #6000 bonus in the dream! Kachi, that thing no work. I can screenshot my messages. They send emails these rubbish messages but I don't follow until a few weeks ago I recharged and got nothing. But rather, I keep getting this rubbish messages. It's real! I benefitted from it last month. Guys, it's working, just exactly as Kachi pointed out, but it's not for all sims. Welcome development, Glo leading other networks.... Nice one. A welcome development from glo to pull for more subscribers.